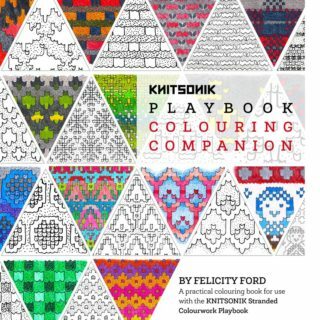 The playbook offers inspiring opportunities for applying patterns found in daily life to celebratory hand knits. 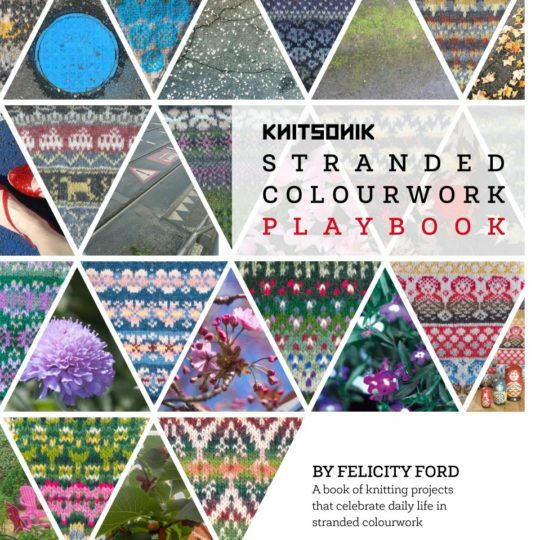 In its pages you’ll learn how to draft your own knitted correspondence; to produce stranded colourwork bunting with your friends; to translate the textures of your town into a cowl; to experiment with scale and proportion when working with motifs; and to adapt and create a stunning shawl that will cover your shoulders with rounds of hand-picked flowers. 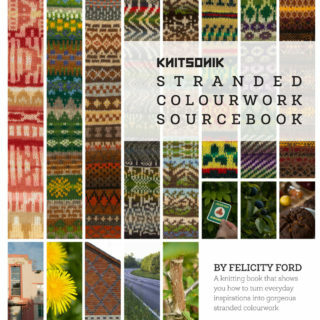 Featuring the voices and ideas of many friends from the community of knitters who already enjoy working with the KNITSONIK system, this collection is full of fun, friendship, and designs that invite you to play!